Dr. Jeannine Relly's research focuses on global influences on news media systems, government information policy, press-state relations, democratic institutions, freedom of expression and access to information in countries in conflict and political transition. She also has a line of research focused on formal and informal institutions related to the policy issue of public corruption. Dr. Relly holds a courtesy appointment with the School of Government and Public Policy and is an affiliated faculty member with the university's Center for Latin American Studies, Center for Middle Eastern Studies, and Center for Border and Global Journalism. She also is the outgoing head of the International Communication Division of the Association for Education in Journalism and Mass Communication. She is a former research fellow of The Udall Center for Studies in Public Policy and has served on the advisory board of the Social and Behavioral Sciences Research Institute at The University of Arizona. Dr. Relly received a Fulbright-Nehru grant to conduct research for five months in India (2016-2017). In the School of Journalism, Dr. Relly coordinated diversity and inclusiveness initiatives for more than five years. She also coordinated the School's Honors program. Before joining the faculty, Dr. Relly worked for more than a dozen years as a journalist reporting in a number states, the Caribbean and the Mexico-U.S. borderlands. Relly, J. E., & Gonzalez de Bustamante, C. (2017). Global and domestic networks advancing prospects for institutional and social change: The collective action response to violence against journalists. . Sage. Co-author assisted with interviews and reading the revisions of the manuscript with line edits.Monograph included commentaries from four experts in political science, communication and journalism studies: Kathleen Staudt, Rune Ottosen, Sallie Hughes, and Silvio Waisbord. Relly, J. E., & Gonzalez de Bustamante, C. (2017). Global violence against journalists: The power of impunity and emerging initiatives to evoke social change. In The Routledge Companion to Media & Human Rights . Gonzalez de Bustamante, C., & Relly, J. E. (2016). Use of social media along the northern border in violent times. In Routledge Companion to Digital Journalism Studies . Routledge. Relly, J. E., & Gonzalez de Bustamante, C. (2016). Periodistas en peligro: un studio de influencias sobre periodistas en el norte de Mexico.. In Medios de comunicación, poder y violencia en las regiones de México . Universidad Veracruzana. Colleague did fieldwork with lead author and edited every version. This is the Spanish version of a seminal article published in a journal. Relly, J. E., & Sabharwal, M. (2015). Perceptions of transparency of government policymaking: A cross-national study. In Public Administration . Relly, J. E. (2011). Corruption, secrecy, and access-to-information legislation in Africa: A cross-national study of political institutions. In Research in Social Problems and Public Policy – Government Secrecy (pp 325-352). Bingley, UK: Emerald Group Publishing. Relly, J. E. (2011). Institutions of information access and constraint: The cases of China and India. In E-Governance and cross-	boundary collaboration: Innovations and advancing tools (pp 247-269). Hershey, Pennsylvania: IGI Global. Relly, J. E. (2010). A comparative study of E-government and political indicators in developing nations with and without access-to-information laws. In Comparative E-Government: An examination of E-Government across countries (pp 525-542). New York: Springer. Gonzalez de Bustamante, C., & Relly, J. E. (2016). The practice and study of journalism in zones of violence in Latin America: Mexico, a case study. Journal of Applied Journalism and Media Studies , 5(1), 55-73. Relly, J. E., & Schwalbe, C. (2016). How business lobby networks shaped the U.S. Freedom of Information Act: An examination of 60 years of Congressional testimony. Government Information Quarterly , 33(3), 404-416. Colleague worked on careful editing and questions throughout the submission and revision process. Also assisted with validating data. Colleague did entire conversion of extensive reference list from 60 years of Congressional testimony. Relly, J. E., & Zanger, M. (2016). The enigma of news media development with multi-pronged "capture": The Afghanistan case. Journalism: Theory, Practice and Criticism. , attached(waiting for hard copy publication / online to date), 1-23. My colleague worked with me on the study design and with funding for our research assistant who conducted fieldwork in Afghanistan in Dari and Pashto, along with the translation and transcription. She also helped to edit every version from conference paper to blind review and revisions.AbstractThis qualitative study of influences on a purposive sample of Afghan journalists was carried out in the year after the US military mission was declared over. After more than a hundred million dollars of Western government funding had been invested in development of liberal democratic journalism, the study found the paradox of news media ‘capture’. We conceptualize this phenomenon further into political, bureaucratic, foreign-donor, and violent-actor capture. The study concludes that in countries with heavy foreign intervention, where imported journalism values are layered upon previous and continued institutional arrangements and where violence and instability continue unabated, news media work is prone to ‘capture’ by a variety of actors outside media organizations. We suggest that future research could refine a typology with six distinct forms of capture – economic, political, cultural, legal, bureaucratic, and societal. Relly, J. E., Zanger, M., & Fahmy, S. (2015). Democratic norms and forces of gatekeeping: A study of influences on Iraqi journalists’ attitudes toward government information access. Journalism & Mass Communication Quarterly . Relly, J. E., Zanger, M., & Fahmy, S. (2015). News media in a fragile state: Journalists’ perceptions of professional ethics in post-Ba'athist Iraq. Mass Communication and Society . Gonzalez de Bustamante, C., & Relly, J. (2014). Journalism in times of violence: Social media use by U.S. and Mexican journalists working in northern Mexico. Digital Journalism . Relly, J. E., Zanger, M., & Shahira, F. (2014). Professional role perceptions among Iraqi Kurdish journalists from a “state within a state". Journalism: Theory, Practice and Criticism . Relly, J. E., Relly, J. E., Gonzalez de Busamante, C., & Gonzalez de Busamante, C. (2014). Silencing Mexico: A study of influences on journalists in the northern border states. International Journal of Press/Politics , 19(1), 108-131. Relly, J. E. (2012). Examining a model of vertical accountability: A cross-national study of the influence of information access on control of corruption. Government Information Quarterly , 29(3), 335-345. Relly, J. E. (2012). Freedom of information laws and global diffusion: Testing Rogers's model. Journalism and Mass Communication Quarterly , 89(3), 431-457. Relly, J. E. (2012). News media constraints and freedom of information legislation in developing countries. International Communication Research Journal . Relly, J. E., & Schwalbe, C. (2013). Watchdog journalism: India's three largest English-language newspapers and the Right to Information Act. Asian Journal of Communication , 23(3), 284-301. Colleague assisted in reviewing study design, coding, and a short passage in the literature review. Colleague also edited every revision and good questions. Fahmy, S., Relly, J., & Wanta, W. (2010). President’s power to frame stem cell views limited. Newspaper Research Journal , 31(3), 62-74. Relly, J. E., & David, C. (2010). A comparison of political, cultural, and economic indicators of access to information in Arab and non-Arab states. Government Information Quarterly , 27(4), 360-370. Relly, J. E., & Sabharwal, M. (2009). Perceptions of transparency of government policymaking: A cross-national study. Government Information Quarterly , 26(1), 148-157. The article was listed among Government Information Quarterly’s most cited articles since 2009 on the journal’s website. Relly, J. E., & González de Bustamante, C. (2018, November). Women journalists on the Frontline . order Crossings: Gender, Sexuality, and Rights Preconference. Tucson, AZ: The University of Arizona. Relly, J. E., & Zanger, M. E. (2018, My). ISIS, tradition and oil as forms of ‘capture’: The impact of violence, politics, culture and economic crisis on journalists in Kurdistan Iraq . International Communication Association Annual Conference. Prague, Czech Republic: International Communication Association. Relly, J. E. (2017, December). Basta Ya: Grassroots and Global Efforts to Stop Violence against Journalists in Mexico . The University of Arizona Center for Latin American Studies' Fall Lecture Series. 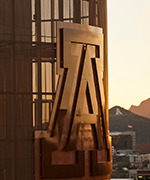 Tucson, AZ: The University of Arizona Center for Latin American Studies. Relly, J. E., & González de Bustamante, C. (2017, May). When violence enters the workplace: A qualitative look at gender roles among journalists in northern Mexico . International Communication Association and Binational Association of Schools of Communication Pre-Conference. San Diego, CA: International Communication Association and Binational Association of Schools of Communication. Relly, J. E., & Pakatani, R. (2017, August). Toward a global model of agenda building and gatekeeping: Collective action and Right to Information legislation in the India case . Association for Education in Journalism & Mass Communication Annual Conference. Chicago, IL: Association for Education in Journalism & Mass Communication International Communication Division. Relly, J. E., & Pakatani, R. (2017, June). Pressing for public accountability: Civil society organizations, social activists, journalists and the Indian Right to Information Act . 5th Global Conference on Transparency Research. Limerick, Ireland: The University of Limerick and The University of Baltimore. Relly, J. E., Camaj, L., & Pakatani, R. (2017, May). The impact of freedom of information laws on journalists' news production: FOI laws as channels of newsgathering in Bulgaria and India . International Communication Association Conference. San Diego, CA: International Communication Association. Relly, J. E., Chordiya, R., Sabharwal, M., & Berman, E. M. (2017, October). Protecting whistleblowers as an anti-corruption strategy: A multi-dimensional approach . Southeastern Conference for Public Administration. Hollywood, Florida: American Society for Public Administration, Southern Florida Chapter. Relly, J. E., Yunjuan, L. L., Cruikshank, S. A., & Wellars, B. (2017, November). A thematic meta-analysis of big data research in communication and journalism research. . Future of Media and Communication Research: Media Ecology and Big Data - International Conference. Shanghai, China: The Center for Information And Communication Studies, Fudan University, P. R. China & E.W. Scripps School of Journalism, Ohio University, U.S.A..
Relly, J. E. (2016, May). The Mexican press, democracy, and violence: Conceptualizing resistance and resilience in the profession . Latin American Studies Association Congress. New York, NY: Latin American Studies Association. Relly, J. E., & Zanger, M. E. (2016, October). Civil society, journalists, and India's Right to Information Act . O. P. Jindal Global University and Stanford University Conference on "Deliberative democracy: Institutions, law and people". New Delhi, India: O. P. Jindal Global University and Stanford University. Relly, J. E., Chordiya, R. V., Sabharwal, M., & Berma, E. (2016, March). Impact of ethical leadership and legal human resources practices on the work environment of public employees in South Asia . Fred Riggs Symposium: Rethinking Public Service Ethics: Cross-cultural Perspectives and Contemporary Challenges. American Society for Public Administration Annual Conference. Seattle, WA: American Society for Public Administration. Relly, J. E., & González de Bustamante, C. (2015, August). Transnational and domestic networks and institutional change: A study investigating the collective action response to violence against journalists in Mexico . Association for Education in Journalism and Mass Communication Annual Conference, Cultural and Critical Studies Division. San Francisco, CA: Association for Education in Journalism and Mass Communication. Relly, J. E., & González de Bustamante, C. (2014, August). Professionalism under the threat of violence: Journalism, self-reflexivity, and the potential for collective professional autonomy . Association for Education in Journalism and Mass Communication Annual Conference, Cultural and Critical Studies Division. Montreal, Canada: Association for Education in Journalism and Mass Communication. Relly, J. E., & González de Bustamante, C. (2013, August). “Journalism in times of violence: Uses and practices of social media along the U.S.-Mexico border . Association for Education in Journalism and Mass Communication Annual Conference. Washington, DC: Association for Education in Journalism and Mass Communication, International Communication Division. Relly, J. E., Fahmy, S. S., & Zanger, M. E. (2013, August). Journalists’ perceptions of professional ethics norms in post-Ba’athist Iraq . Association for Education in Journalism and Mass Communication Annual Conference. Washington, DC: Association for Education in Journalism and Mass Communication, International Communication Division. Relly, J. E., Fahmy, S. S., & Zanger, M. E. (2013, June). Democratic norms and social learning: A study of influences on Iraqi journalists' attitudes toward information access . International Communication Association Annual Conference. London, England: International Communication Association Annual Conference, Political Communication Division. Relly, J. E. (2011, May 2011). Testing vertical accountability: A cross-national study of the influence of information access on the control of corruption . First Global Conference on Transparency Research. Newark, NJ: Rutgers University. Relly, J. E., & Schwalbe, C. B. (2011, August). Framing corruption: India’s three largest English-language newspapers and the Right to Information Act . Association for Education in Journalism and Mass Communication Annual Conference. St. Louis, MO: Association for Education in Journalism and Mass Communication, International Communication Division. Relly, J. E. (2010, August). “Do journalists have information access? Exploring news media freedom and colonial heritage in 42 nations . Association for Education in Journalism and Mass Communication Annual Conference. Denver, CO: Association for Education in Journalism and Mass Communication, International Communication Division. Relly, J. E., & Cuillier, D. L. (2010, June). Comparing political, cultural, and economic indicators of access to information in Arab and non-Arab states . International Communication Association Annual Conference. Singapore: International Communication Association, Communication Law and Policy. Relly, J. E. (2009, May). The diffusion of access-to-information legislation: A cross-national contextual analysis . International Communication Association annual conference. Chicago, IL: International Communication Association, Communication Law and Policy Division. Relly, J. E. (2007, April). Does access to information legislation influence the level of corruption in developing countries? . Western Social Science Association Annual Conference. Calgary, Canada: Western Social Science Association, Political Science Division. Relly, J. E., & Sabharwal, M. (2007, October). Do economic and political institutions contribute to transparency in governance? . Conference on Governance, Institutions, and Networks. St. Augustine, Trinidad: The University of the West Indies, Department of Behavioral Sciences. Relly, J. E. (2006, August). Policy issue networks and the U.S. Freedom of Information Act: An examination of 50 years of Congressional testimony . Association for Education in Journalism and Mass Communication Annual Conference. San Francisco, CA: Association for Education in Journalism and Mass Communication, Communication Law and Policy Division. Relly, J. E., & Sabharwal, M. (2006, April). Countries with access to information laws: An examination of political and economic institutions . Midwestern Political Science Association Annual Conference. Chicago, IL: Midwestern Political Science Association. Relly, J. E., & Sabharwal, M. (2006, April). Do nations with access to information laws govern better than countries without the law? . Western Social Science Association Annual Conference. Phoenix, AZ: Western Social Science Association, Political Science Division. Relly, J. E. (2005, July). “Emerging economies and democracies in Asia: Access to information laws, the media, and the Millennium Development Goals . 14th Annual Asian Media Information and Communication Centre Conference. Beijing, China: Asian Media Information and Communication Centre.